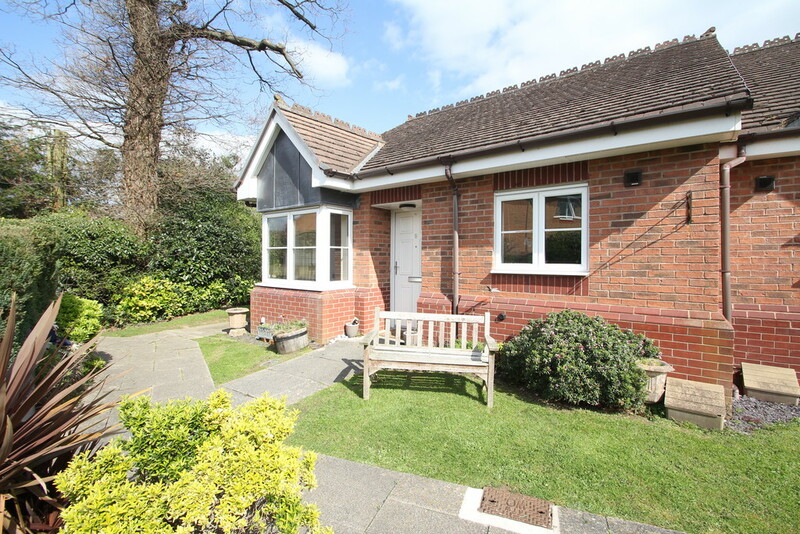 A fantastic opportunity to acquire this adaptable 2 bedroom semi-detached bungalow within this popular sheltered home development for the over 58 years's. 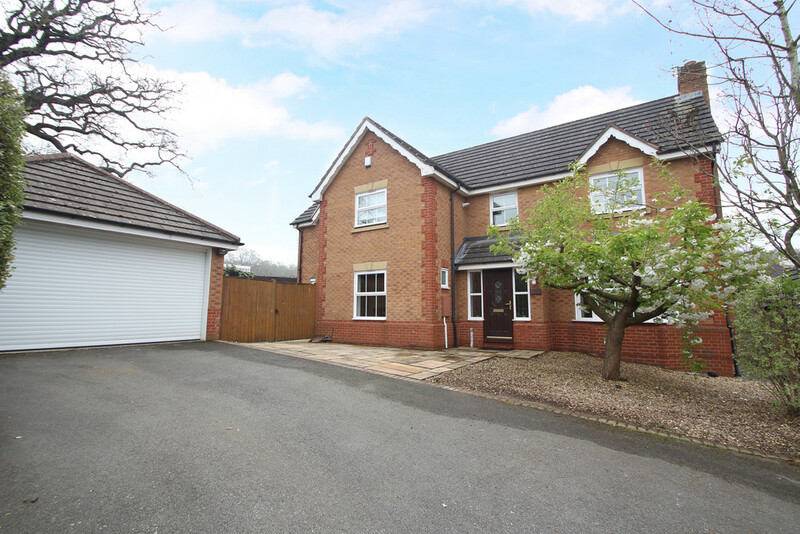 Comprising, hallway, kitchen/breakfast, living room, conservatory, 2 bedrooms and bathroom. 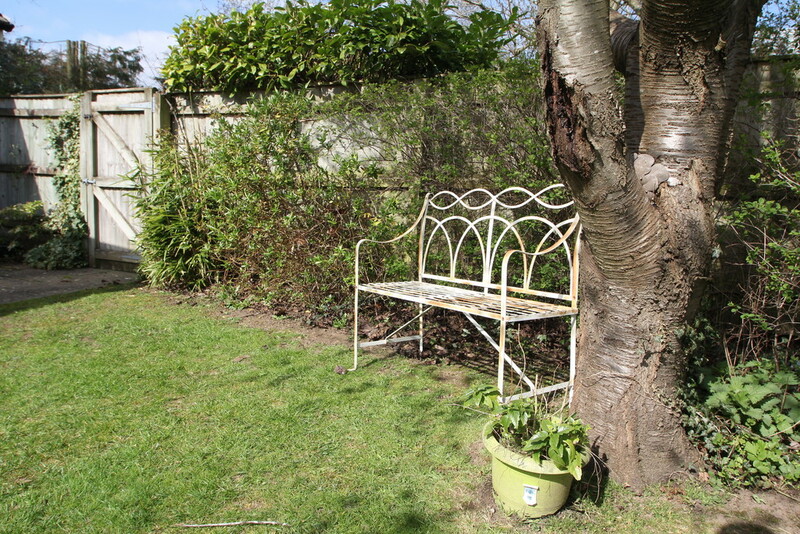 Having the benefit of Warden assistance on hand, communal gardens, lounge and 24 hour emergency call system. 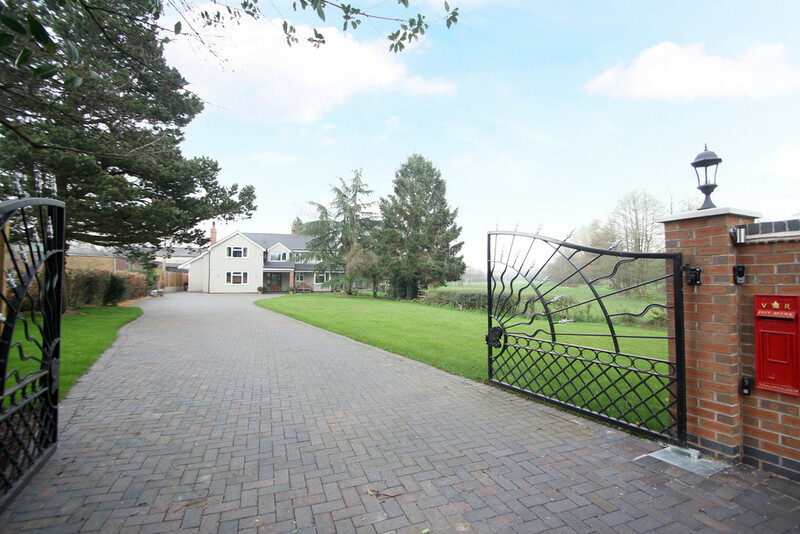 A beautiful setting in this popular village where local shops and amenities are close by. 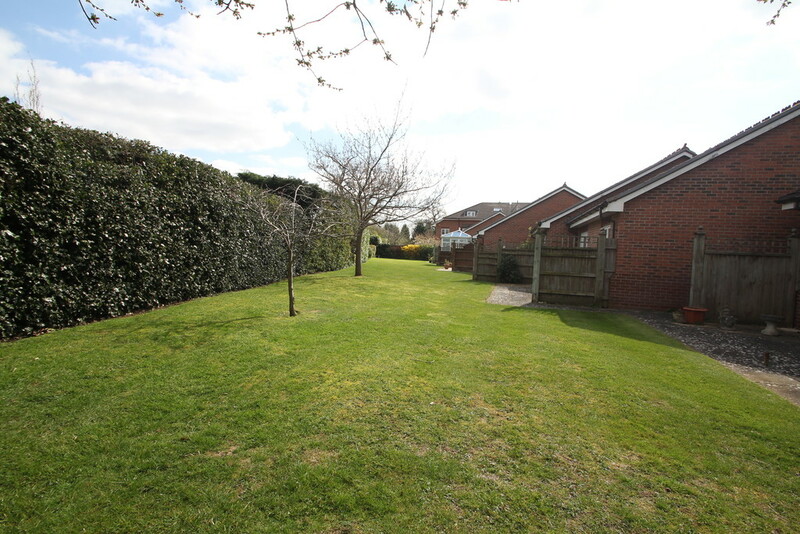 PROPERTY IN BRIEF A beautiful property within this popular 'Michael Blanning Place' retirement development for the over 58 year olds. 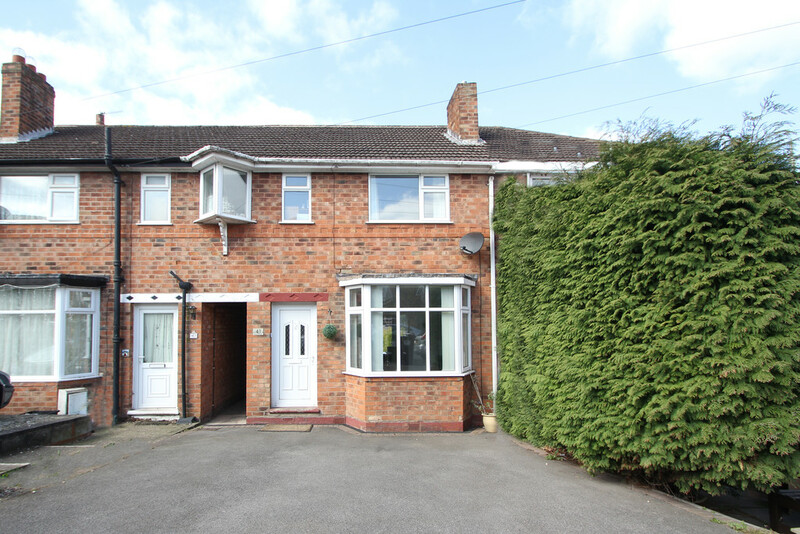 Having the benefit of communal gardens and communal lounge on site with the added advantage of being within easy reach to the local village centre, train station and medical centre in this highly sought-after location. 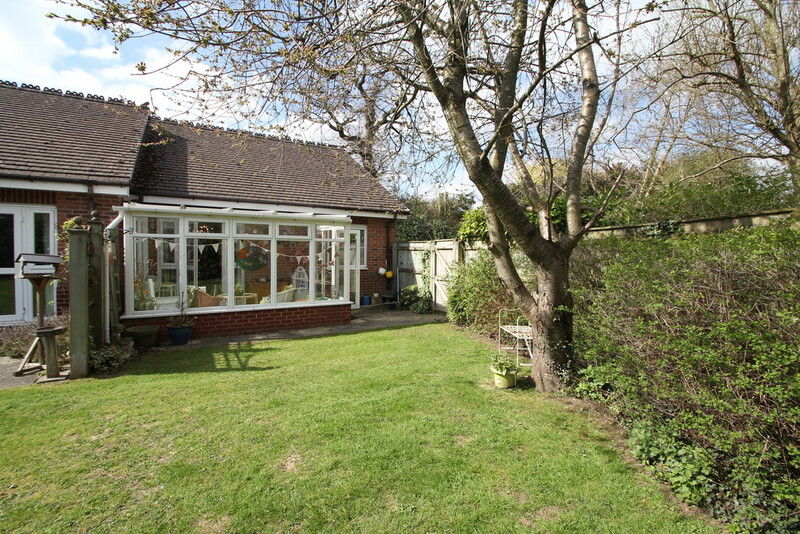 This semi-detached, two bedroom retirement bungalow affords superb accommodation to include spacious hallway with a number of storage cupboards, well appointed breakfast kitchen with fitted appliances, spacious living room with patio doors leading out to the conservatory and views of the communal lawns. 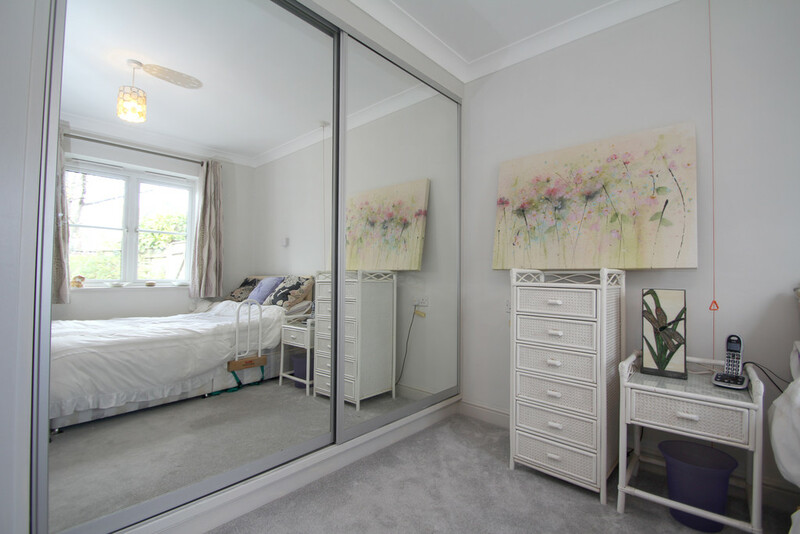 The large Master bedroom benefits from fitted wardrobes where as the second bedroom is adaptable to be used as the dining room. 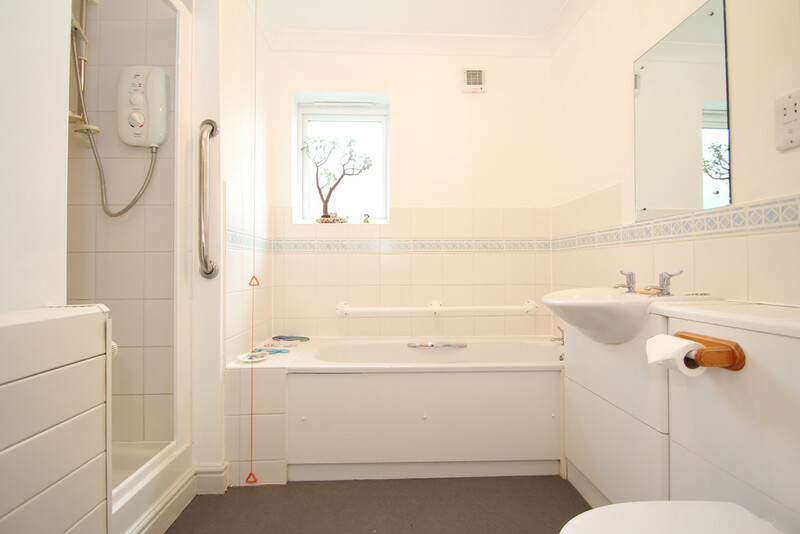 The main bathroom benefits from bath with separate shower. HALLWAY 4' 1" x 15' 5" (1.27m x 4.72m) A spacious welcome to this home. Having the advantage of two useful storage cupboards with double wooden doors, one of which houses the Ferroli F24 combination boiler. 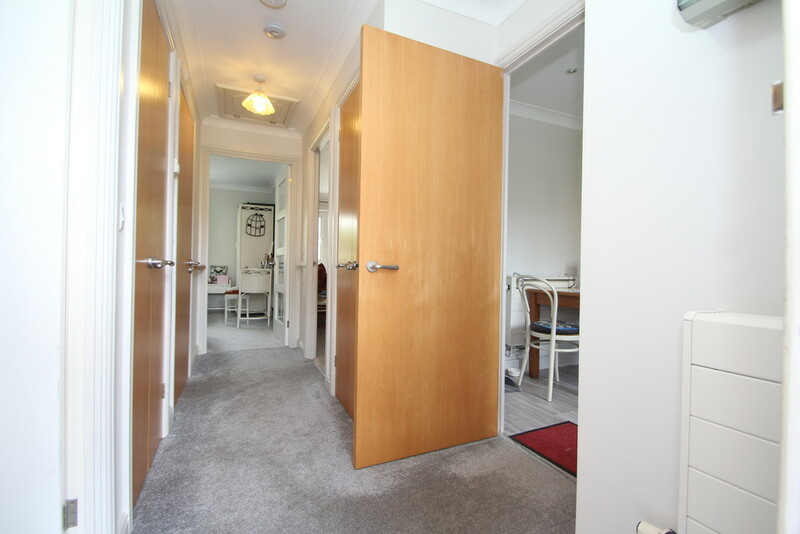 The hallway is kept cosy with a central heating radiator and loft access. 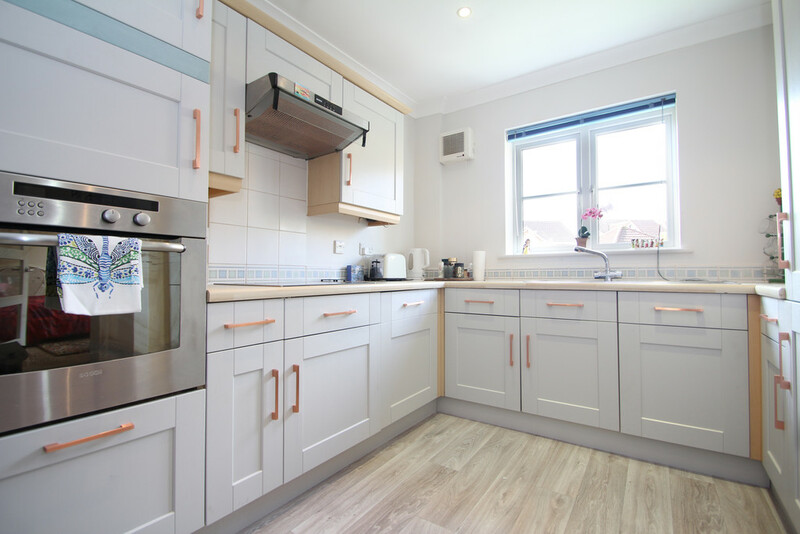 KITCHEN/BREAKFAST ROOM 8' 11" x 12' 2" (2.73m x 3.73m) A well-fitted kitchen providing a range of base and wall units having the benefit of built in appliances to include Bosch oven and grill, Bosch 4 ring electric hob with over head extractor and integrated washing machine. One and half sink with a view out over the front communal area. 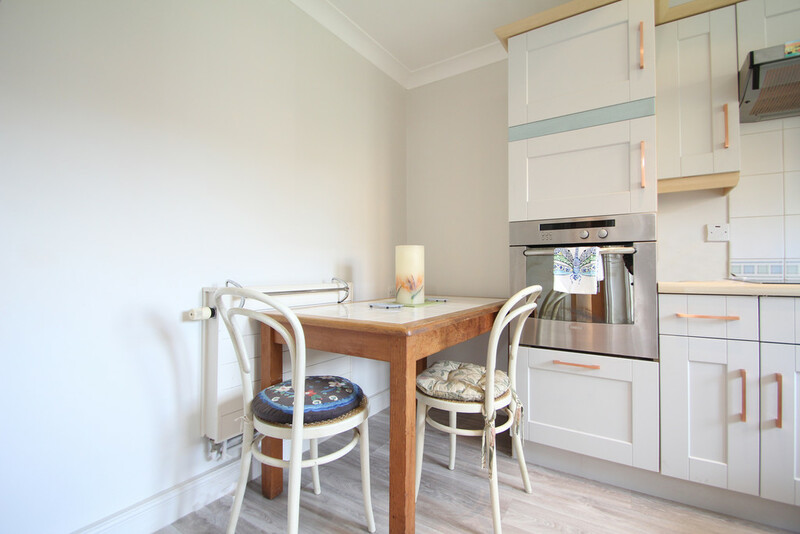 There is a great space for your breakfast table to sit and enjoy your morning toast and coffee. LIVING ROOM 9' 11" x 16' 9" (3.03m x 5.13m) A spacious living room having the advantage of patio door opening into conservatory and focal feature fireplace . 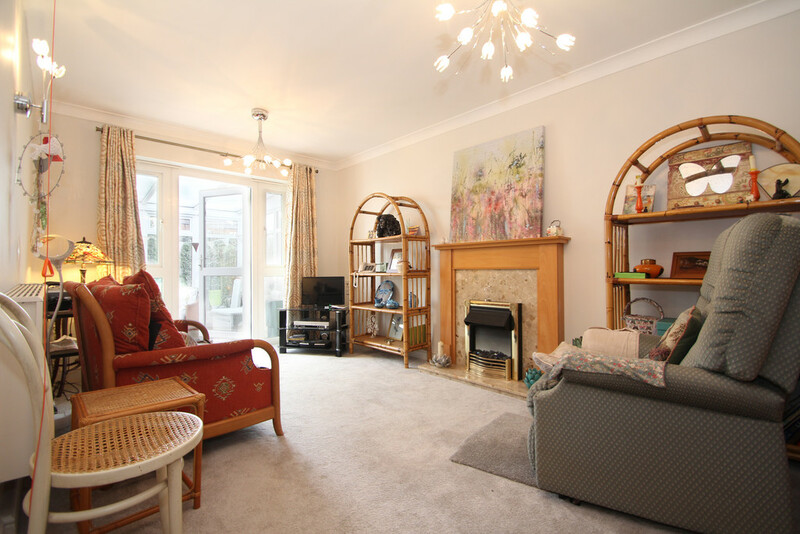 This room offers plenty of floor space for a selection of sofas and chairs to feel comfortable and perfectly at home. 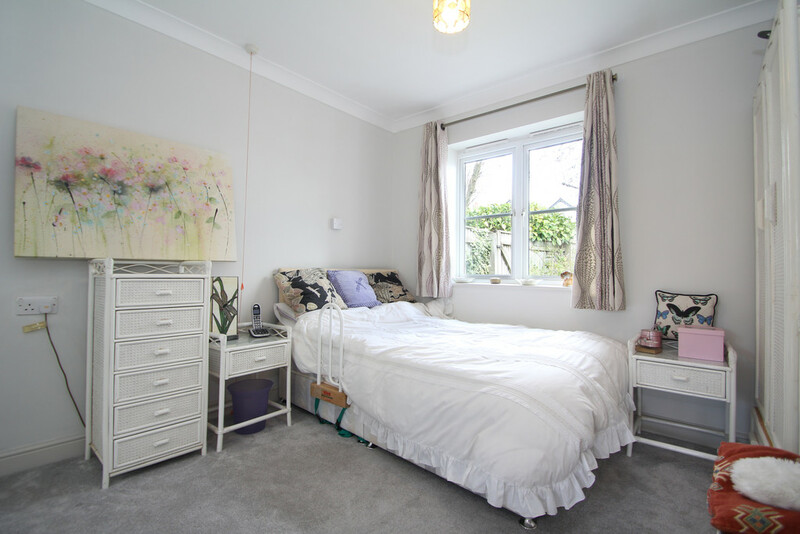 This room is neutrally presented with soft and bouncy grey carpet. Telephone point plus FM/DAB points too. A cosy space to relax and enjoy the view. 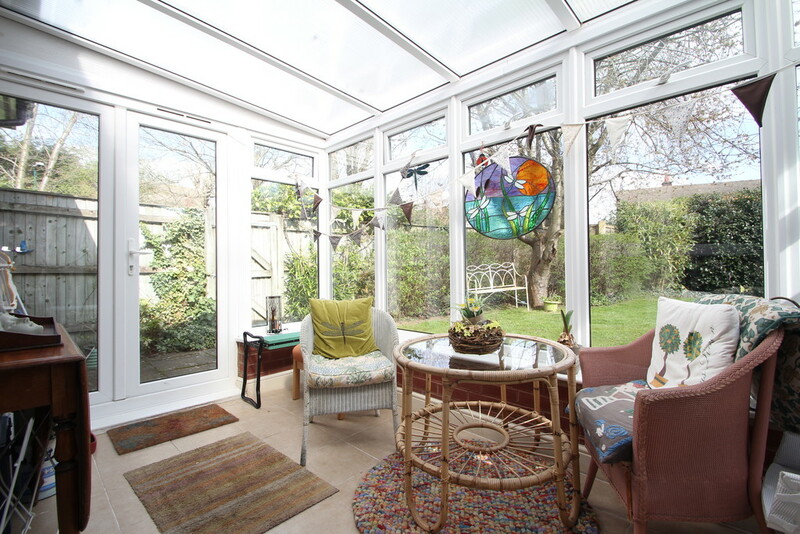 CONSERVATORY 12' 2" x 7' 10" (3.73m x 2.40m) A delightful space to sit and enjoy the garden view while enjoying a cup of tea and slice of cake. Having the benefit of patio doors leading out to the communal gardens. MASTER BEDROOM 11' 7" x 10' 8" (3.55m x 3.27m) A spacious bedroom having built in wardrobes with mirrored sliding doors. 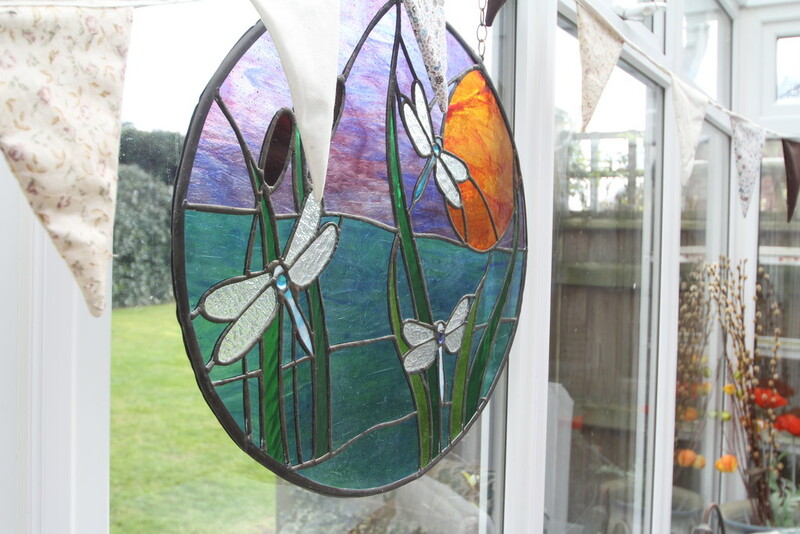 Double glazed window with views of rear communal gardens. Neutral décor with radiator. BEDROOM TWO 7' 1" x 8' 3" (2.18m x 2.52m) A spacious number two bedroom with the advantage of storage cupboard. 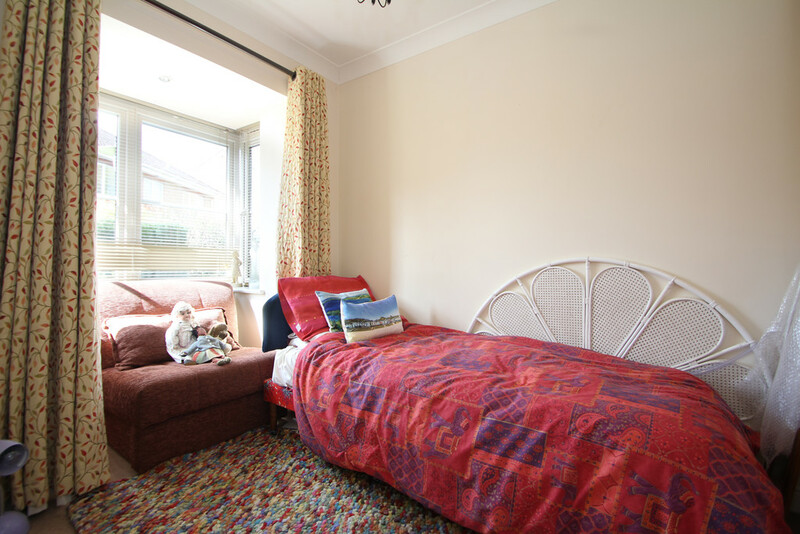 The bay window stretches out to the fore-garden, affording extra floor space. This room is designed as a guest bedroom but is perfectly suitable as a dining room. 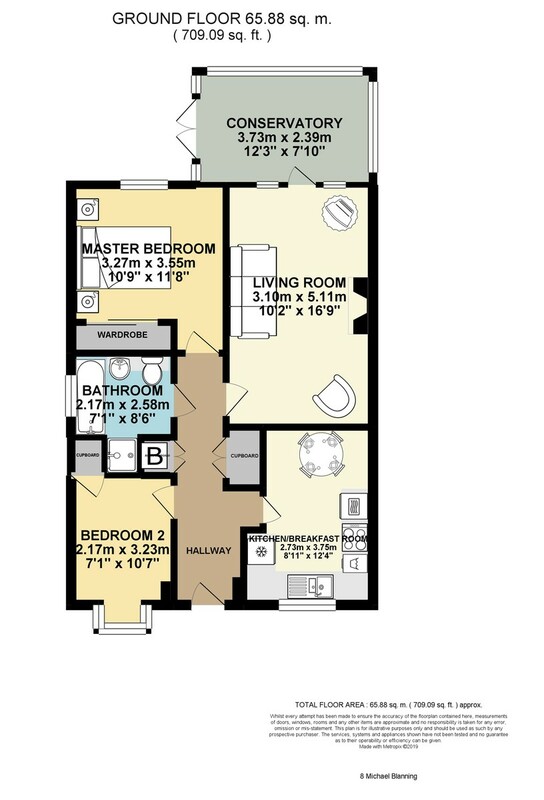 Neutrally presented with cream walls and beige carpet and telephone point. BATHROOM 7' 1" x 5' 10" (2.18m x 1.80m) A white suite comprising of bath, separate shower with bi-folding door, W.C and washbasin with vanity storage. Non-slip flooring, frosted double glazed window and radiator. OUTSIDE SPACE The property has the benefit of conservatory leading out to the communal gardens which are maintained by the management company. Communal parking is available too. TECHNICAL We are advised that a warden is on site 9am -4pm weekdays and Saturday mornings. There is a 24 hour emergency pull cord system in operation. 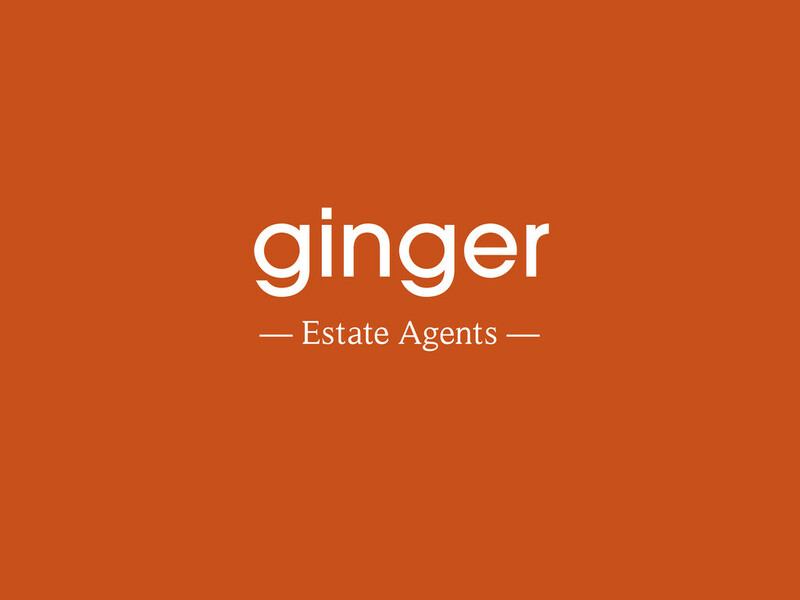 We are also advised that the service charge is aproximately £2,289 per annum paid half yearly. The ground rent is £125p.a. We are advised that the lease is 125 years from 20.03.2001.